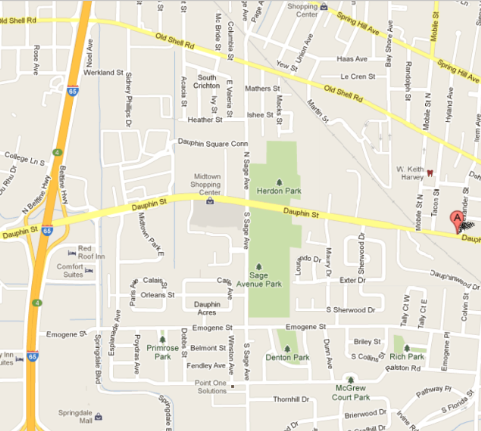 The office is conveniently located about one mile east off I-65, on Dauphin Street. When you travel from I-65, we're to the left. When you travel from downtown, we're to the right. We're between Florida Street and the railroad tracks. 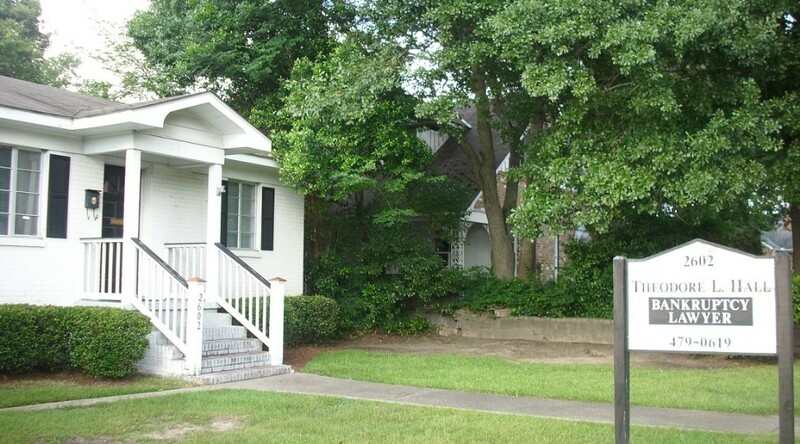 The office is in a white brick residence-style building, with our office sign prominently posted in the front yard near the street. This is what the office looks like, coming from I-65.